You want portable? You got it! 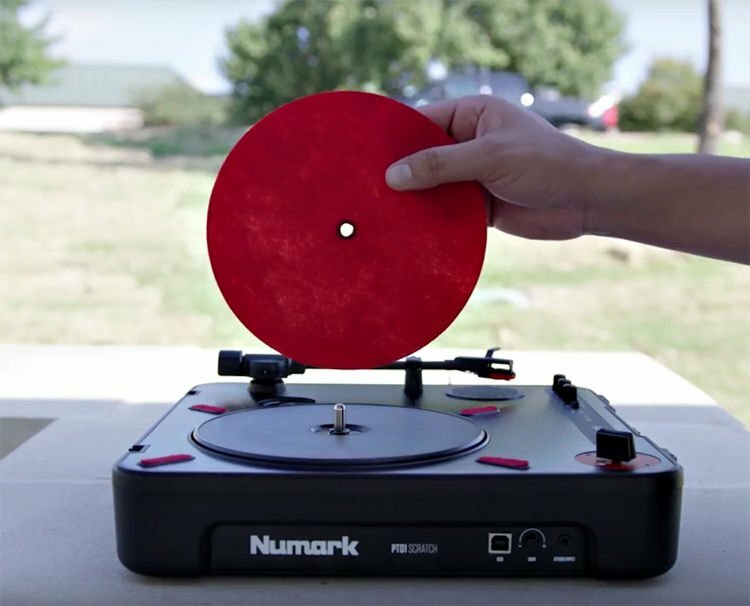 Numark has been rocking the portable turntable market since they released the original PT01. When scratch artists picked it up, the PT01 Scratch was an obvious next step. Like the PT01, the PT01 Scratch is totally portable. 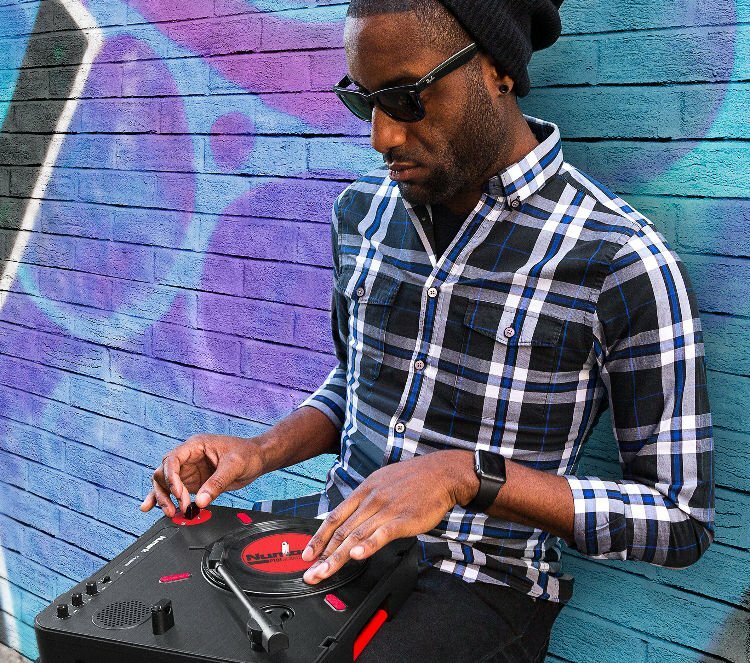 Sure, you can run it off of wall power, but with six D-cell batteries, you're ready to DJ anywhere. There's also a built-in speaker onboard, and while it might not be enough for full-volume performance, it's super handy for practicing your chops or referencing tracks. Probably the coolest thing that has the DJs here at Sweetwater pumped about the PT01 Scratch is the Scratch Slide Switch. 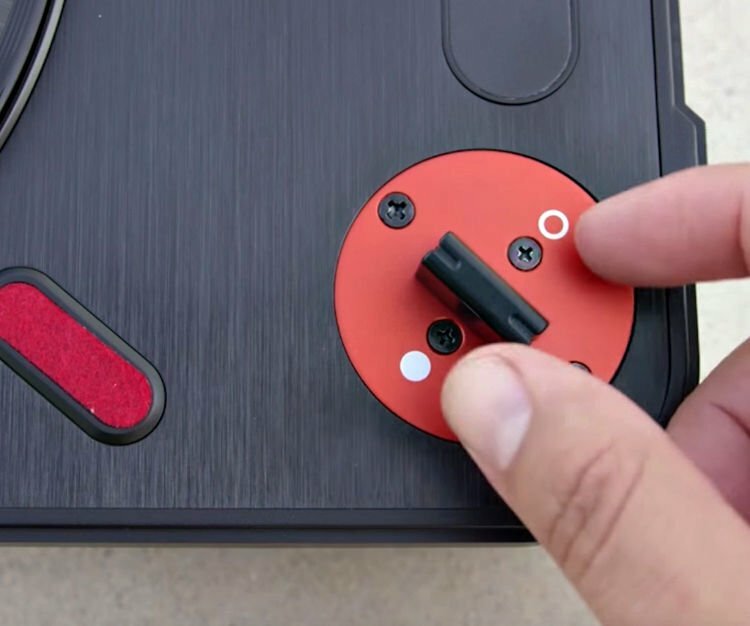 It's like a traditional crossfader married to a flipper-action joystick, where one side is full on, and the other side is full cut. 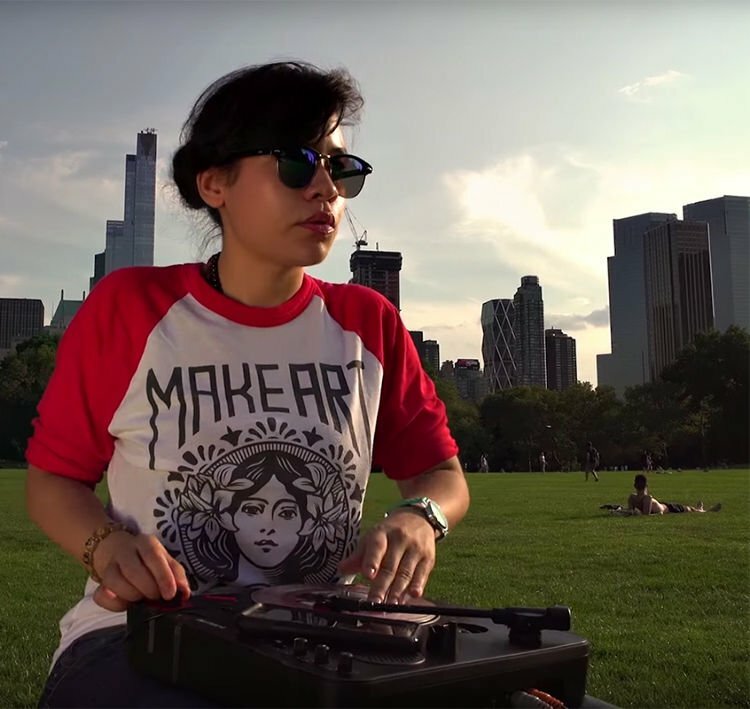 The response is phenomenal, and even traditional scratch artists will feel right at home after a session or two. By the way, not only is this Scratch Slide Switch user replaceable, but you can also set it up in eight different configurations to suit your style and your dominant hand. For more traditional setups, you can hook your PT01 Scratch up to a standard DJ mixer via the stereo RCA outputs, which are also perfect for sending signal to your PA, powered speaker, or other line-level gear. On the flip side, you can plug in the output from a stereo media player (such as your smartphone) to add backing tracks to your performance. Choose from an 1/8" or a 1/4" headphone output for convenient solo play, or hook your computer up via USB for easy recording. 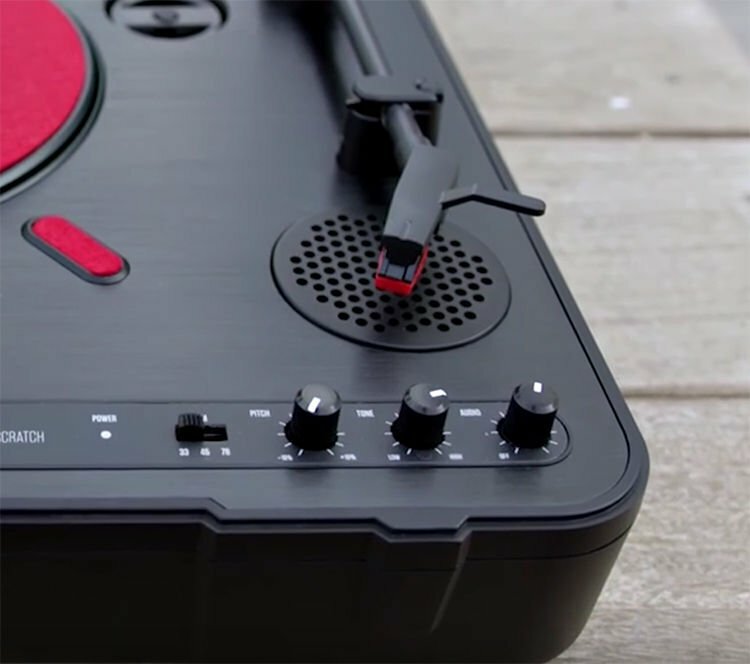 Tough and portable as it may be, the PT01 Scratch would hardly be a worthwhile turntable if it didn't come with all the must-have functions found on any quality model. RPM controls let you spin all three standard formats (with 45 rpm adjustments), while the pitch adjustment knob delivers +/-10% fine-tuning. Top it all off with a high-/low-frequency tone adjustment, plus a level control, and you're good to go. It's never fun to get your new gear only to find out there are a bunch of accessories you didn't know you needed. At Sweetwater, we try to avoid that sort of thing, and that's why we love this PT01 Scratch package. Cartridge? Check. Slip-mat? It's in there. Numark even hooks you up with a protective dust cover that includes a carrying handle. 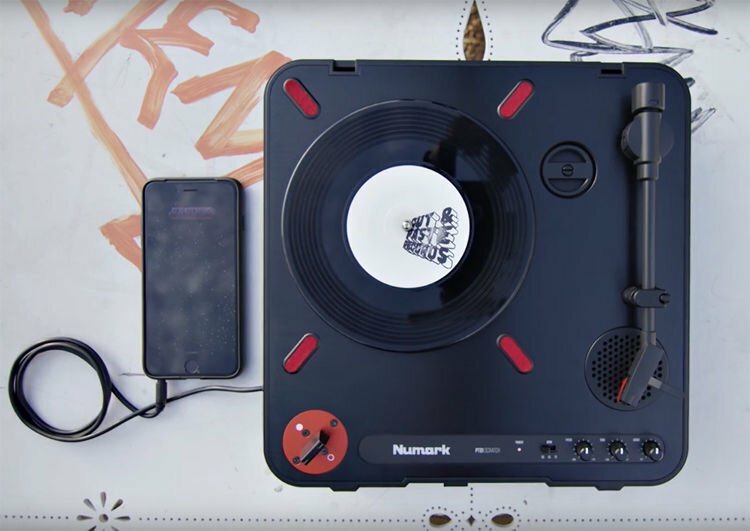 Talk about a true grab-and-go turntable rig! All you need now are some records (33-1/3, 45, and 78 rpm accepted), and you're all set.